Actrices donate their Oscar dresses to charity. The foundation “Clohes of our back”, run by movie stars Jane Kaczmarek en Bradley Whitford, enables auctions of dresses of celebs. The dress Keira Knighley wore in Atonement is one of them. At the moment the film The kids are allright the subject of the auction. Knightley donated a dress before. Back then it was Oxfam who was lucky enough. Her dress gave 5000 kids in Tanzania food for a month. Singer Björk also donated her notorious swann dress to this foundation. Heidi Klum gave Heart Truth the same honor. I think this is a noble gesture of these leading ladies. Appearing twice in the same dress is not done, so this is a great way to make the most of these pretty dresses. And of course it doesn’t hurt the ladies images as wel.. Ever heard of The Uniform Project? The students of Glenwood Springs High School (US) have. For a month they wore one basic outfit. And you know? Turns out it wasn’t that hard at all! 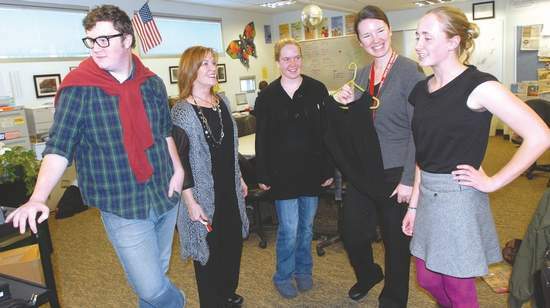 ‘I really thought it would be hard at first,’ said sophomore Rebecca Carcaterra, who has been wearing the same black sweater dress as the centerpiece of her daily wardrobe since the project began. ‘But I found it was a lot easier than I was thinking,’ she said. ‘I don’t have to spend all that extra time in the morning stressing about what to wear.’ It all started with an article written by sophomore Grace Gamba in the high school’s newspaper. Want to know more or keep yourself up-to-date? Check out their blog. british wedding celebrated with fair gold? The British Royal wedding ain’t traditional, that’s for sure. In stead of the carriage the couple’s ride is a limo and the fairytale wedding is celebrated in an intimate setting. But now it has been hinted that the wedding rings are being made of Fairtrade gold. The purveyor of wedding rings to the royal household is one of the 20 certified Fairtrade jewellers and they’re hoping for an order. “It would be wonderful if Prince William and Kate agreed to it.” Will Kate, becoming the new people’s Princess, set a trend? Is fashion really turning green? Looking trough Dutch Glamour my eye caught an advert from Giorgio Armani with the header Aqca for life. 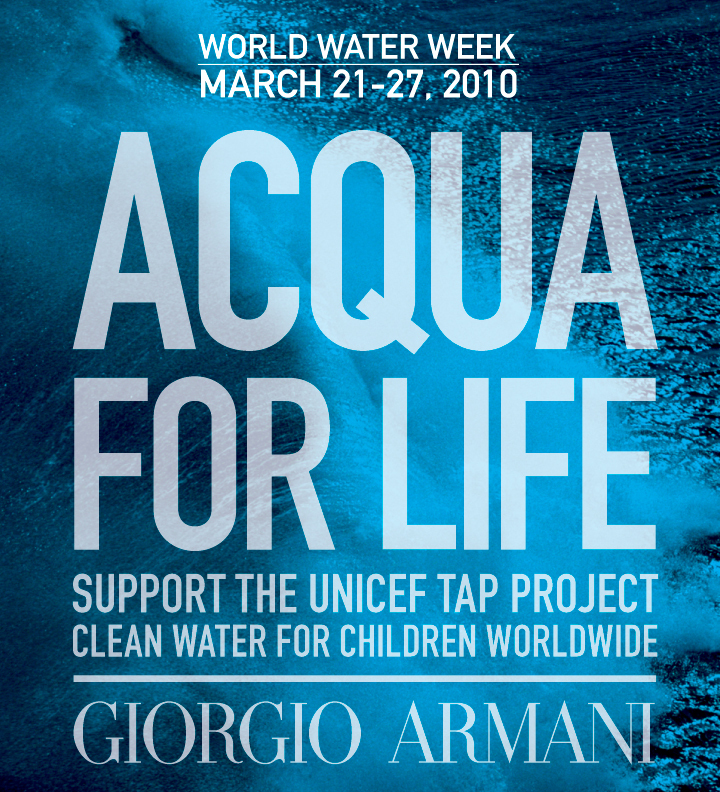 It says the company supports an Unicef tap project. Every bottle of perfume represents 100 litres of water. Too bad the Italian company’s facebook page is not working and the website doesn’t say a lot either. Another case of greenwashing? Just read some amazing news: H&M is putting out a second sustainable line. The Conscious Collection is all about romantic blouses, tunics, suits and lingerie. From April 14th this line is available at every store.